This time, however, she gave herself permission to stay with the sadness and just allow it be present, without judging it or trying to change it. She allowed herself some space to simply feel what she was feeling and even to cry as necessary. That sadness passed right through Leslie. It lifted out of her body the way a fever or sickness finally lifts and after a few moments, it was gone. That pain Leslie had been carrying around in her heart for so many years was gone. The feeling of loss she had passed right through her. she finally felt free from that relationship and ready to love again. Emotions are just part of our internal guidance system directing us towards our best life and the highest expression of ourselves. How we feel at any given moment tells us whether we’re connected to Source and on our path. When something feels good, we’re connected and on the right path. We don’t have to overcomplicate it. We just need to be willing to allow our emotions to be what they are – without making it mean something about us, without judgement and without trying to change them or suppress them. We just have to give ourselves permission to feel what we feel. If we don’t allow our emotions the opportunity to be heard, the emotions don’t go away, they just fester and get worse over time infecting other areas of our lives. What we avoid, suppress, judge, focus on or push against only pushes back harder, manifesting in a more profound way. 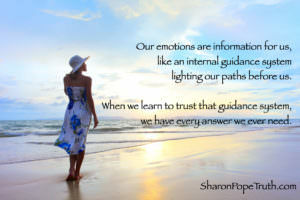 Our emotions are just information for us, like an internal guidance system always lighting our paths before us. 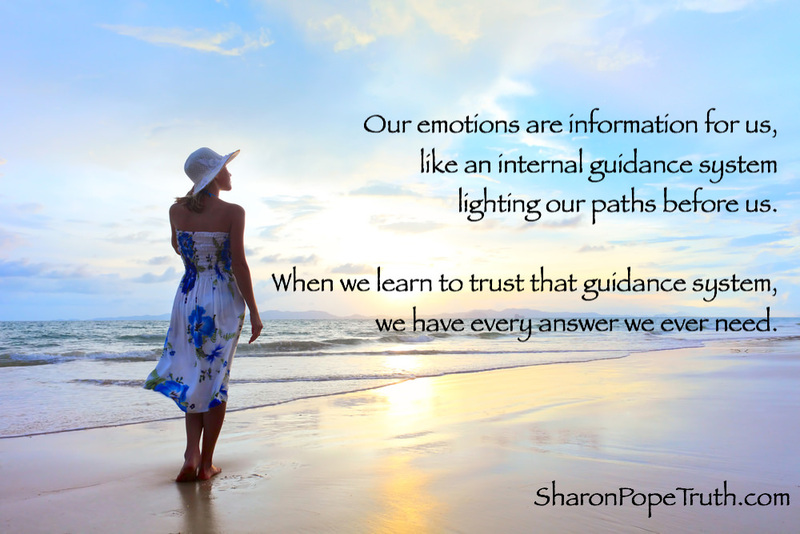 When we learn to trust that guidance system, we have every answer we ever need.